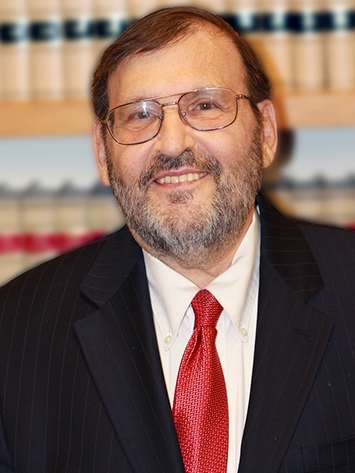 Donald S. Goldman was a Superior Court Judge from 1992 to 2009. Before then he was in private practice for 22 years. During his service as a judge, he was assigned to all the trial court divisions including civil, criminal, and family courts. Until his retirement he was the environmental judge in Essex County. Judge Goldman was a member of the National AIDS Commission from 1989 to 1993 having been appointed by the Congress. Judge Goldman served as chair of the New Jersey Judiciary Task Force on AIDS that developed the judiciary's policy on AIDS ultimately approved by the New Jersey Supreme Court, was chair of the New Jersey Judiciary Advisory Committee on Americans with Disabilities Act Compliance, and was a member of New Jersey Supreme Court Committee on Jury Selection in Civil and Criminal Trials. Since 2010 he has been Of Counsel to Starr, Gern, Davison & Rubin, P.C. In addition to fulfilling all requirements to be a R. 1:40 mediator, he has completed a 40+ hour course in civil mediation at The National Judicial College and has been selected to serve on the panel of Mediators for the Federal District Court for New Jersey. Judge Goldman was regularly assigned to help the parties resolve the largest, the oldest, the most complex, and the most difficult to settle cases in Essex County, and he did so including 7 and 8 figure cases. In 2009 in the process of presiding over and ultimately helping the parties settle one of the oldest, most intractable and important lawsuits between two large law firms in New Jersey, the New Jersey Law Journal referred to Judge Goldman as "Solomonic."